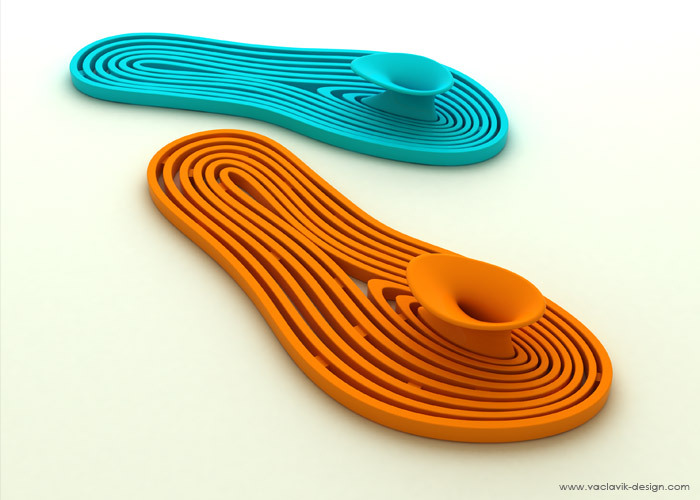 Slippers “SPA” are designed for conditions in spa hotel. Visitors quite often moving in between hotels rooms and spa. 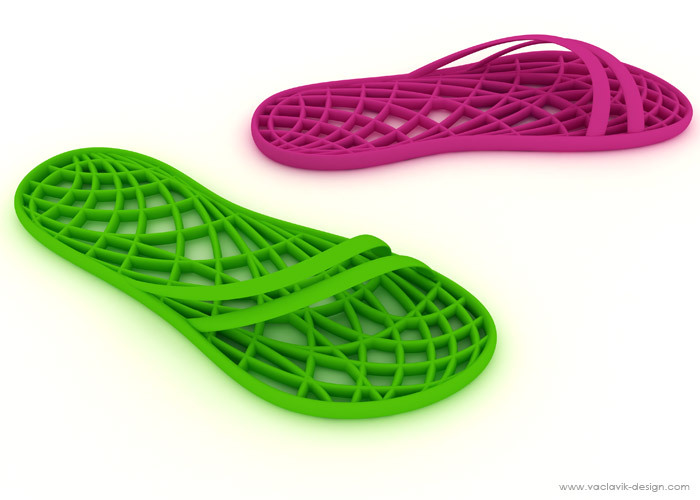 Combination of this totally different environments needs specific footwear which would connect aesthetics with safety and ergonomics. 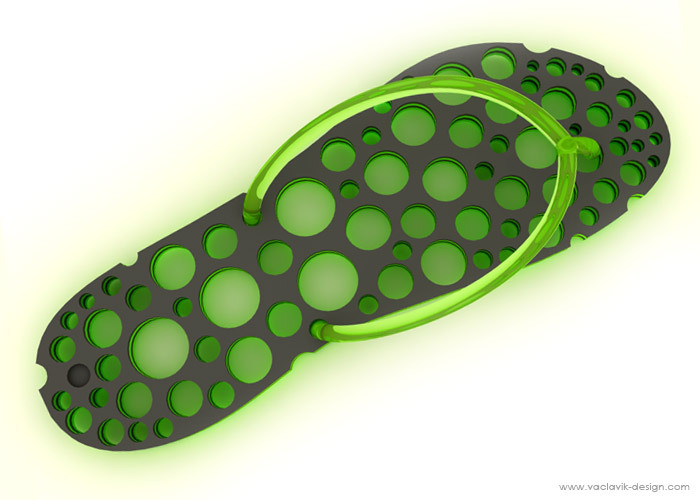 Idea stands on perforated sole which keep-off slip of on wet floor and in the same time massage foot. 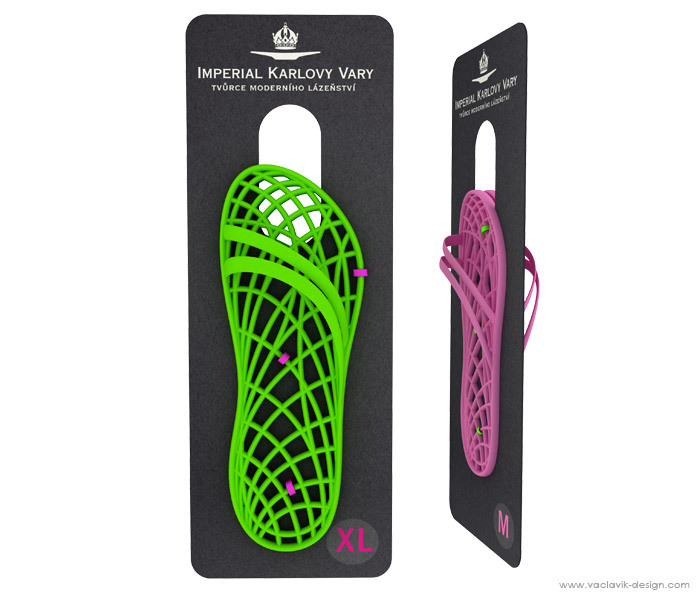 This practical detail pushing design to very interesting fashion accessory. Principle of perforated sole offering us a lot of different pasterns.